Imagine you’re a GW freshman, just discovering the challenges of college-level economics, chemistry, or business administration. You’ve heard that GW offers many academic resources, but how do you find them? With services and resources spread across the university, where do you even start? 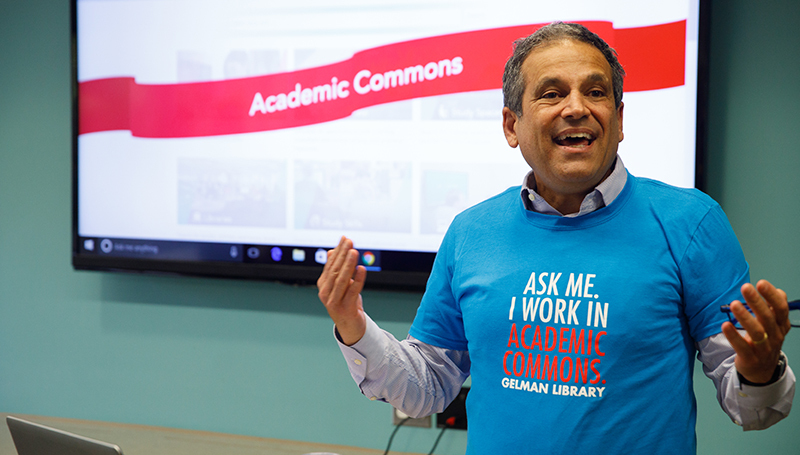 As of August 2018, the answer is simple: Academic Commons at GW Libraries and Academic Innovation (GWLAI). 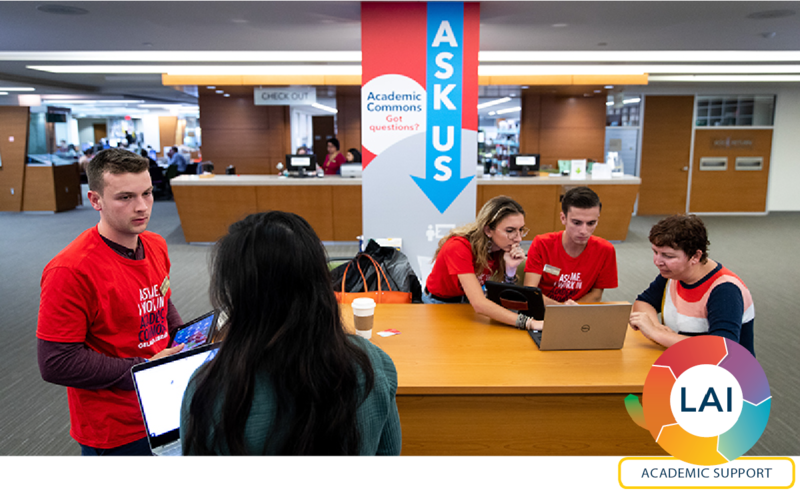 Academic Commons is a one-stop shop for academic resources and services across the university. 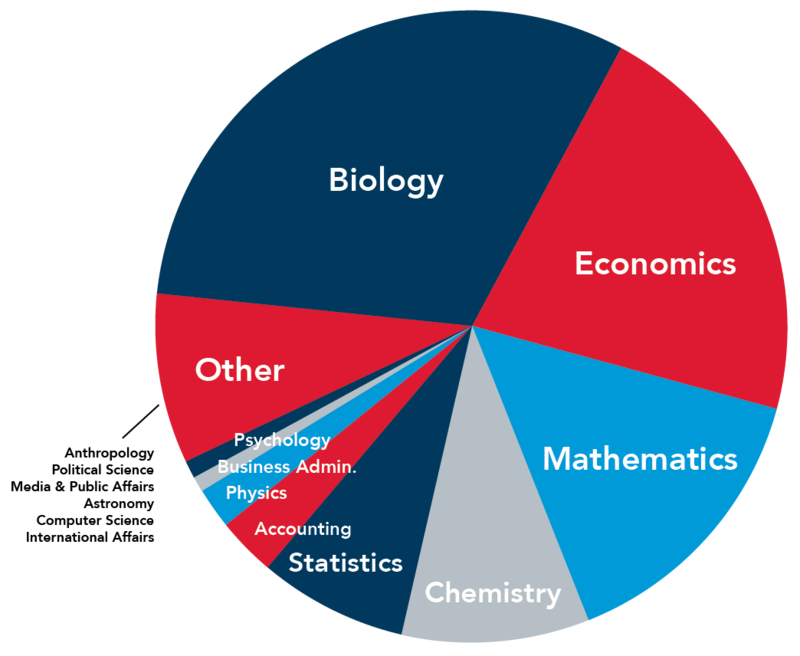 GW offers a wide range of academic support, provided by a variety of departments and divisions. 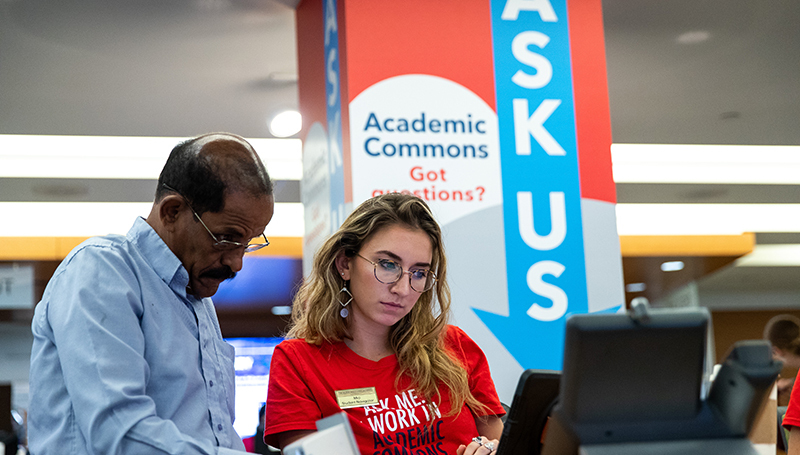 Academic Commons connects students to the resources and services they need to succeed, wherever they might be located. A new website, academiccommons.gwu.edu, provides 24-7 access to a wide range of support options, including sorting study spaces across campus by noise level, location, and available technology; making an appointment with a peer coach for assistance in 27 academic subjects; and identifying research opportunities on campus. 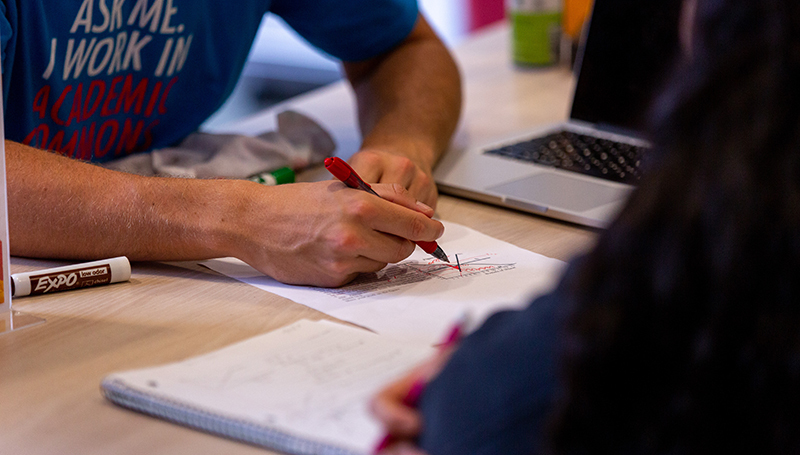 When developing the website over the summer, GWLAI conducted focus groups and user testing to ensure it would provide the information students need in the way that they prefer. “[These are the] most helpful web pages I have found at GW so far,” said Andrew Weissman, CCAS ‘22. For a more personalized experience, student navigators are located on the entrance floor of Gelman Library. These specially-trained student employees listen to their peers and then guide them to resources, help make appointments, or walk them to whatever offices they need, anywhere on campus. Academic Commons is closely tied to President Thomas LeBlanc’s key priority of the student experience. “During our student experience town halls, students kept highlighting that the support mechanisms we offered were great but hard to find. This was something that we clearly needed to address. Academic support is a critical component of the GW educational experience,” said Forrest Maltzman, provost and executive vice president for academic affairs. Understanding this need, GW’s Student Association (SA) championed the idea behind Academic Commons, with SA leadership bringing GWLAI a proposal to create a centralized location for student support. “The expanded services and the new structure will enable students to access the needed support and guidance, fulfill their academic potential, and set students up for success,” said former SA President Peak Sen Chua, SPH ‘19. As staff learn more about what students are asking for and how we can support their academic experience, they plan to make continuous improvements to Academic Commons. “We’re trying to create solutions for anything a student might want to know,” Henry said. To learn more about how to support our student success programs, please contact Tracy Sullivan, executive director of development, GWLAI, at 202-994-8928 or [email protected].